← Just Two More Weeks to Raise 23k For Trans Justice! Introducing 2016 TJFP Panelist, Stephanie Mott! We’re so honored to have Stephanie Mott join the TJFP 2016 grant making panel! 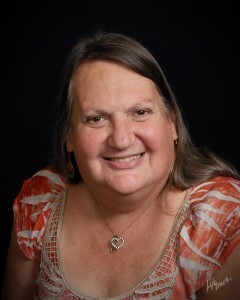 Stephanie is the Executive Director and President of Kansas Statewide Transgender Education Project (K-STEP) and the Founder/Director of the Transgender Faith Tour. She has been a columnist for Liberty Press and lgbtSr, and a volunteer blogger for Huffington Post. She has published more than 100 articles about being transgender. As the executive director of K-STEP, she has provided nearly 400 workshops and presentations related to gender identity in venues from college classes to mental health centers to jails and prisons. She is currently serving as the community liaison for transgender inmates with the Shawnee County (Kansas) Jail. Stephanie is also currently serving as the state vice-chair of Equality Kansas. In addition, she is a board member of the Topeka Human Relations Commission, the Topeka Chief of Police Advisory Board, Topeka Pride, and Capital City Equality Center, as well as serving on the advisory board for the Beacon Youth Group. Her awards include the Pioneer Woman from the University of Kansas Emily Taylor Center for Women and Gender Equity, the Kansas Stonewall Marsha P. Johnson Award for Exceptional Activism, and the Donna Love Award for Outstanding Social Work Student from Washburn University. We can barely contain our excitement! Comments Off on Introducing 2016 TJFP Panelist, Stephanie Mott!